By January 1, 2013, whenever an employer enters into a contract of employment with an employee for services to be rendered within this state and the contemplated method of payment of the employee involves commissions, (1) the contract shall be in writing and (2) shall set forth the method by which the commissions shall be computed and paid. (3) The employer must provide a signed copy of the contract to every employee and (4) must get from each employee a signed receipt for the contract. 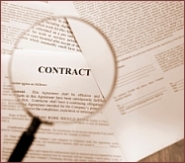 If a contract expires, but the employee continues to work under the terms of the expired contract, the contract terms are presumed to remain in full force and effect until the contract is superseded or employment is terminated by either employee or employer. In addition, the new law repealed Section 2752 of the Labor Code which provided for triple damages against an employer who failed to comply with the writing requirement. However, the new law does not set forth any specific damages or civil penalties that an employee would be entitled in the event of violation. The law takes effect on January 1, 2013. However, Section 2751 uses the language “by January 1, 2013,” which probably suggests that employers must take certain affirmative steps and issue written contracts to all commissioned employees. If you have questions regarding this article or need legal consultation on other employment law related problems, feel free to contact our San Francisco Employment Law Attorney.